Print this new &amp; high value $2/1 package of Huggies diapers coupon with no size restrictions! Plus, check out the deals you can score at CVS! HURRY! The Disney Frozen Snow Glow Elsa Doll is back in stock for just $28.88 (Retail $39.99)! -Snow Glow Elsa Doll sings the hit song "Let it Go"
This is only available for Pick UP at Walmart.com – hurry because the deal will sell out FAST! I also found the Disney Frozen Toddler Elsa Doll on sale for $28.84 – shipping is free with Amazon Prime! Looking for games? Right now Best Buy is offering Two Select Play Station 4, Xbox One, Play Station 3, Xbox 360 or PC Games Buy 2, Get 1 Free applied at checkout. Choose from popular titles like Call of Duty: Ghosts, Grand Theft Auto V, Halo: The Master Chief Collection, Destiny and More! 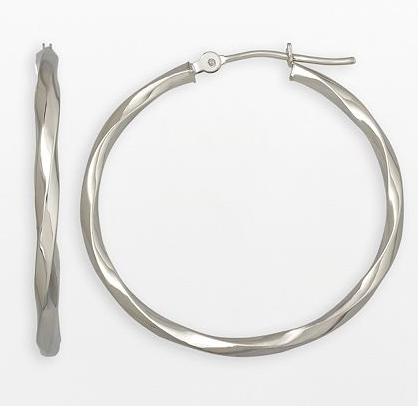 On my Christmas this year is a pair of White Gold Hoops that won't loose there color!! Right now Kohl's is offering 20% Off Orders Under $100 with code DASHER or 25% Off Orders over $100 with code DANCER at checkout - Plus $10 Kohl's Cash on every $50 you spend AND you can stack code JEWELRY10 which takes an additional $10 Off Your Purchase of $50 or more! You can browse around for several less expensive deals, but I wanted something that I can wear daily and that will last - not tarnish. Dooney &amp; Bourke is offering Twelve Days of Dooney - Today you'll find the perfect complement ensemble this season - Shop styles Up To 50% Off. I'm loving the Nylon Crossbody for $54.50. Head over here and shop your favorite! Today ONLY - get a Monterey 7 Piece Comforter Set for $49.99 (Retail $130)!! Available in King or Queen - Black or Brown. It's back! 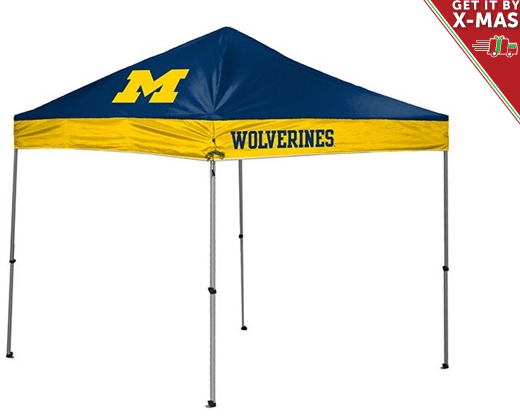 Hurry over and check out the Rawlings NCAA 10' x 10' Canopy for ONLY $69.99 (Retail $199.99)!! Rawlings has partnered with Coleman to bring you the ultimate tailgating accessory, this 10-foot by 10-foot Straight Leg Canopy. Not only will it help protect you from all types of elements, you can proudly display your school colors and logo so no one will wonder where your loyalties lie. This sturdy tent is easy to set up, with a one-piece steel frame, it's ready for use in only three minutes. Includes a wheeled, carry/storage case. We take our canopy everywhere! Hurry over HERE because certain teams are limited! Today only, save 50% on your favorite toys from ALEX, including art and craft activities, science and learning kits, and building toys.